Butoh (舞踏), also referred to as Ankoku Butoh (暗黒舞踏, “dance of darkness”), is a somewhat inscrutable, avant-garde form of Japanese dance theater that's defined by its ability to avoid categorization and standard definition. It encompasses a wide variety of movements, activities and aesthetic practices into a performance art perhaps unlike any other. Butoh’s genesis came about in 1959, in American-occupied post-war Japan. 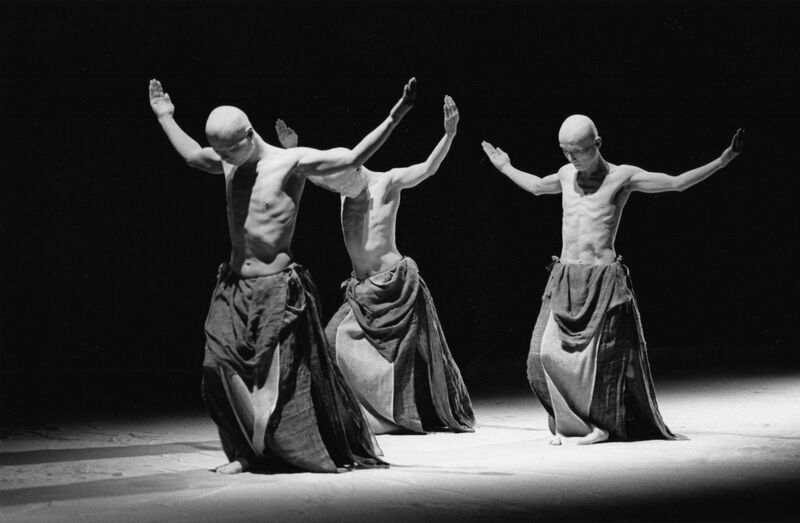 A collaboration between Tatsumi Hijikata and Kazuo Ohno, butoh was a subversive reaction against the Japanese dance scene of the time. It eschewed the high energy often found in western styles of dance such as ballet, as well as the visual harmony and understated refinement coveted by practitioners of traditional Japanese performance arts, such as noh. Instead, butoh focuses on crude gestures and grotesque imagery intended to challenge audiences and performers alike. While Hijikata and Ohno are the architects of butoh, their reluctance to establish codified tenants fostered an environment that essentially meant there were as many types and interpretations of the art as there were practitioners. Commonalities among performers include juxtaposition of the playful and the grotesque, exploration of the taboo, white makeup (or similarly eye-catching costumes), and an emphasis on slow, controlled movement, often contrasted by music. Although this provocative art form has strong roots in Japanese counterculture, it has also developed a dedicated following internationally, with practitioners all over the world. One of the best known butoh troupes, Sankai Juku, has performed in over 40 countries across the globe, and is heavily responsible for increasing Butoh’s presence among international art communities. If it sounds somewhat hard to grasp, that’s because it's intentionally ephemeral. There are countless intricacies and interpretations, which means that the easiest way to begin to understand the challenging, hauntingly beautiful art is by experiencing it first-hand.